Their story reads like a film treatment: Three college students—all politics junkies—meet through their involvement in campus politics and hit it off. 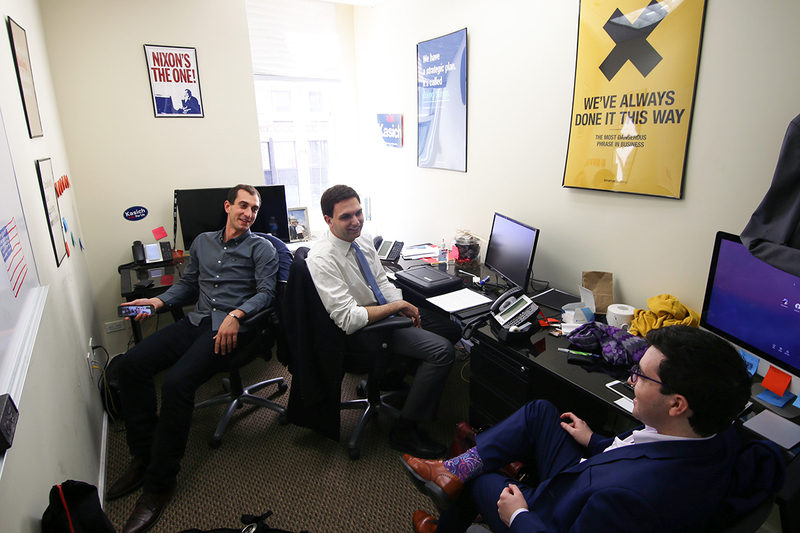 From their dorm rooms, they launch a political technology business. Soon after, they are hired to turn around two gubernatorial races in elections where the candidates are underdogs. They not only succeed in flipping the races and getting their candidates elected, they gain prominence as one of the nation’s leading campaign data and analytics firms in the process—all while trying to keep up with their homework. The trio’s success is based on a relatively simple concept. Traditional means of mass campaigning—like robocalls, blitzes of TV and radio ads, and yard signs—fail to move the opinions of voters in large numbers. And generic outreach that aims to persuade indistinguishable masses simply isn’t effective, the Applecart founders say. In fact, the only traditional type of campaigning that is consistently, measurably effective for the purpose of mobilizing voters is knocking on doors: person-to-person contact. 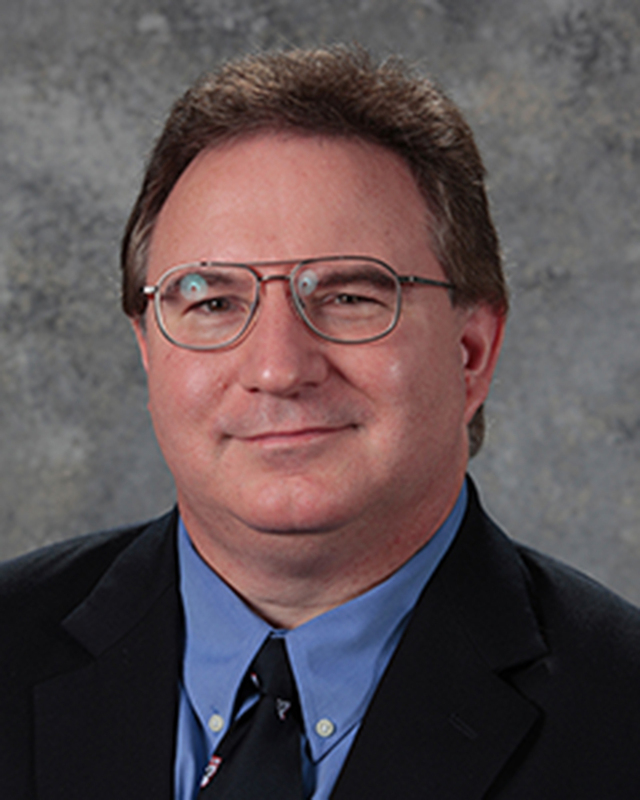 “A campaign’s approach to impacting voters needs to be customized to the individual to be successful,” Kalmans says. All three had worked on political campaigns and had seen both firsthand and in extensive academic literature that conventional means of campaigning just didn’t work. What does motivate voters, they all agree—and the literature confirms—is leveraging personal relationships. The Applecart team strategizes in the headquarters near Times Square. For that reason, from their dorm rooms the Applecart founders sought to invent a process for identifying and leveraging “influencers” in digital and real-world social networks, people at the center of a group who can sway opinions and help motivate friends, family, and coworkers not only to vote, but to support specific candidates. It is this capability that has allowed Kalmans, Liveris, and Samotin to change the conventional wisdom about how to run a successful political campaign at the highest levels of national politics. Their process is an analog-digital hybrid. It begins with identifying the population of voters relevant to a specific election. The firm works backward to find the influencers among them. To uncover these social networks, they comb through publicly available online and offline records to identify people who went to high school together or who currently go to the same church or play in the same softball league. At Penn, they crunched the numbers themselves and created a series of algorithms that constructed a web of relationships between voters in a given geography. As the firm has expanded, they have hired engineers and data scientists with backgrounds in Silicon Valley to create a more sophisticated, scalable platform to expand the process nationwide. The inspiration for this data-driven, socially focused strategy was twofold. They’d seen how successful the Obama presidential campaigns had been in engaging a digital-savvy electorate using social media, and they wanted to harness that power to benefit their candidates. Kalmans, Liveris, and Samotin were also influenced by the studies they read as research assistants for John DiIulio, Frederic Fox Leadership Professor of Politics, Religion, and Civil Society. In particular, they took interest in a seminal 2008 study by Yale political scientists, theorizing that social pressure to vote is what influences voter turnout the most. Using public records, the Yale researchers mailed letters to thousands of registered voters telling them they would publicize to their neighbors whether or not they had voted in the most recent election. When this social pressure was applied, registered voters responded and showed up to the polls. This idea captured the students’ attention, and they put theory to practice. They became partners in a new enterprise, a business that would take research about voting and apply it in a real-world context. But they needed start-up capital as well as actual campaigns where they could test out their ideas. After burning through their pooled personal savings—“including our bar mitzvah money,” Kalmans says—they pitched their idea to some potential funders. First Round Capital, founded by Josh Kopelman, W’93, and located just off Penn’s campus, came to the rescue with its “Dorm Room Fund,” a student-run venture capital fund that gave them a $20,000 grant to get their fledgling operation off the ground. They were additionally aided by several mentors on campus who helped them make connections. These included DiIulio, who served as a senior advisor to President George W. Bush; Greg Rost, chief of staff to Penn’s president, Amy Gutmann, who had also been chief of staff to former Pennsylvania Governor Ed Rendell; and David Thornburgh, who served as executive director of Penn’s Fels Institute of Government through 2014. Finally, they got a break. The Republican Governors Association had narrowly lost several winnable races in the 2010 election cycle. The organization was getting nervous about losing several incumbents in the 2014 elections, in particular two governors who were falling behind in the polling leading up to the general election. The association hired Kalmans, Liveris, and Samotin to test their concept in the 2014 primary cycle, as a proof of concept ahead of the general elections of these dark-horse incumbents. The difference they made shocked them. They produced a 14.6 percent increase in voter turnout, the largest ever recorded in U.S. history as a result of a single intervention. The election wins catapulted the three partners onto the national stage. In the 2016 Republican presidential primaries, they had offers to work on the Bush, Christie, and Kasich campaigns. They chose the last. Applecart now has 15 full-time employees in its Manhattan office. They are continuing to work on major elections while also branching out to see if they can apply their model to the corporate world. “If a person takes a vacation on a cruise ship, you can bet that they come home and talk to their friends about it—and those friends are now the ideal target for the cruise ship company to sell to,” Kalmans says. “I’ve taught the basic course on American government for more than 30 years across three different Ivy League universities, but I never had two students make a topic all their own the way that Matt and Sacha—who I dubbed “Thing 1” and “Thing 2,” à la The Cat in the Hat—made the best empirical get-out-the-vote literature all their own. Each instantly saw that what the political scientists had found via actual field experiments, regarding what worked to motivate voters, could be tested more fully and then developed into a more refined, digital-age technology. “And their big civic hearts pounded at the prospect of getting more people to participate, and the possibility that doing so might also make it harder for extremist candidates to succeed electorally. Their Fox research fellowships helped to give them the chance to really plumb those depths. Some experts reasonably doubted that these two kids, along with Anthony, who I got to know a tad later in the process, could do what few advanced graduate students would so much as attempt. But inside a year they were on the way to doing enough actual field experiments of their own to merit six doctoral degrees. And the leap from concept to new adaptations to today’s Applecart—now a thriving firm working for major candidates—was made lightning fast, yet with unbelievable intelligence, poise, and savvy.